MASTER Community Developer, Sunway Property, may develop townships in emerging economies, such as Vietnam or Thailand, says Sarena Cheah, Sunway Bhd property development division managing director. “To jump into a township (in a foreign country) will be too big (to do it). But Sunway may look at it if there is a good opportunity in emerging economies. We are a good master community developer and we do get a lot of invitations from Thailand, Vietnam and other Asian countries who say they have a big piece of land and are asking us to look at it. “We have to be quite selective where we want to play. Our plans for overseas are not township developments at this point in time. You can’t get a big parcel of land to develop a township in matured economies, where we are more focused in currently,” she told NST Property. Sunway Property, which is active in a number of projects in China and Singapore, is eyeing global expansion, albeit cautiously, said Cheah. The developer is targeting key cities in Australia such as Melbourne and Sydney, the United Kingdom, new areas in China, as well as Southeast Asia, including Singapore. “If you look at the headlines, outlook on all the markets are uncertained and a bit more volatile. In every market, even though there is uncertainty and it is a bit volatile, there is a segment of opportunity where we can still launch. In the end it is about the right product and right pricing. “Last year was not that hot as well, but majority of our launches garnered very successful take-up. In every market, there is always space to play and that is why we are very bullish on executive condominium. We are going into this. We are looking at executive condos, other then goodwill, which is also a very good site. “In the end it is looking for the opportunities at the right price. So when we are buying land, we will look at it at the right price and when we launch, we will look at the right pricing,” said Cheah. Cheah hopes Sunway Property will be able to conclude a land deal this year. Cheah also said that overseas ventures would be either through joint venture with locals in a targeted country, or going in entirely on its own. “We can go in on our own but it depends on the potential, which land and so forth,” she said. Sunway Property has said that in two to three years, the group’s international portfolio is targeted to contribute close to 30 per cent to its overall profit, from 10 per cent currently. Cheah said while Sunway Property is looking at opportunities abroad, Malaysia would still be its key market. “Going overseas, other then (for) diversification, is also very good because we learn how matured economies are run. We are going to pick something from there. But, really, in the end, if we go overseas, what’s our value contribution?,” she said. 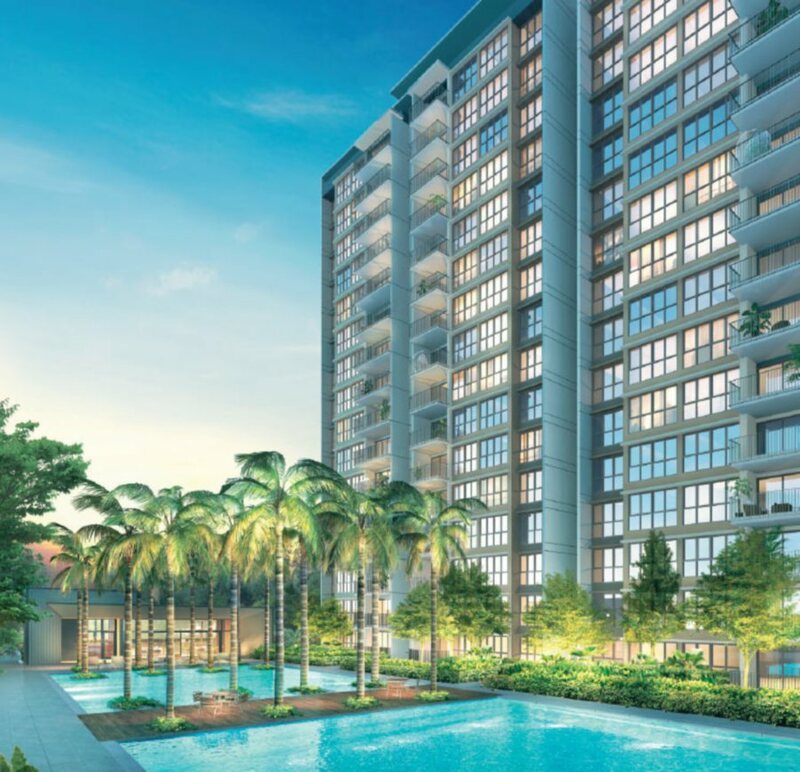 Sunway Property has three joint-venture residential projects worthanestimatedS$2.3 billion (RM7 billion) to launch in Singapore, its second largest market after Malaysia. The company would launch the first of three projects in Clementi, by the year-end, Cheah said, adding that it would have a gross development value (GDV) of RM1 billion. The remaining two projects—located in Canberra Link(with over S$1 billion GDV) and Tampines (S$800 million) — will be launched next year. “The Singapore market is very cyclical. Also, we don’t have much time. In Singapore, the moment we buy we have to launch within the time period,” Cheah said. Last year, the company’s unit Sunway Developments Pte Ltd jointly acquired a private residential property — Brookvale Park in Singapore — with Hoi Hup Realty Pte Ltd.
Brookvale Park is located on 999-year leasehold land in Clementi. It is currently a 160-unit private residential estate with an area of 34,654sqm, which was built in 1983. “It is a very strong location and we do believe that it is going to be a very good product,” said Cheah. The targeted selling price for the condo in Clementi would average S$2,000 per sq ft (psf), which is the current market rate, she said. Last year Sunway Property launched the S$658 million (RM1.96 billion) Rivercove Residences in Singapore, which sold out in about three months. Units of 904 to 1,485 sq ft were sold at S$830,000 (three-bedroom), S$1.1 million (four bedroom) and S$1.34 million (five-bedroom), or at an average price of S$965 psf. An expert from a foreign consulting firm said a number of Malaysian property developers are venturing overseas to avoid hitting a growth plateau if they operate in the same region for a long time. “It is imperative or logical for developers to expand their operations, preferably overseas, so that they can grow in an entirely new market,” the consultant said. One of the most significant roadblocks when venturing abroad is adapting to the different cultures and traditions of an entirely new country, he said. Companies expanding overseas may also underestimate competition in the targeted country and fail to plan competitive strategies. He said in order to be successful overseas, the developer would have to come up with a product that can stimulate interest in the market. The consultant said the developer would also have to establish themselves as a reliable and beneficial brand. “If the developer has established a successful brand in Malaysia, then it would be easier for it to build the brand overseas, like in the case of the Sunway group. Sunway is well-known not just in Malaysia, but also in Singapore and China. There are investors who have bought Sunway properties in Malaysia,” he added.